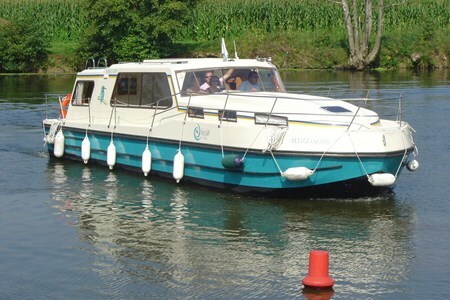 The Riviera 1130 F is a low comfort level boat which can welcome from 7 to 9 people. It can be sailed without a license. Interior equipment: - 3 cabins, 1 with double bed, 1 with two single beds, 1 with double bed and single bunk bed. - 1 shower, 1 toilet, 1 shower-toilet.